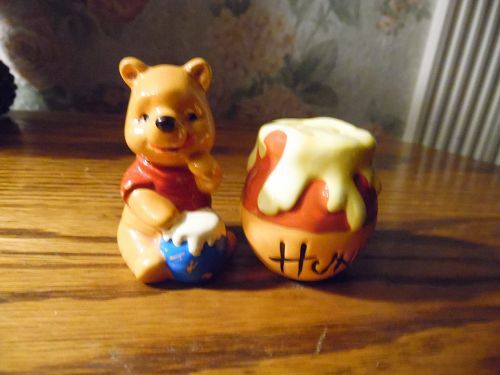 Disney's Winnie the Pooh & Blue Honey Hunny Jar Salt & Pepper Shakers. Perfect condition. Pooh measures 2 3/8 tall. 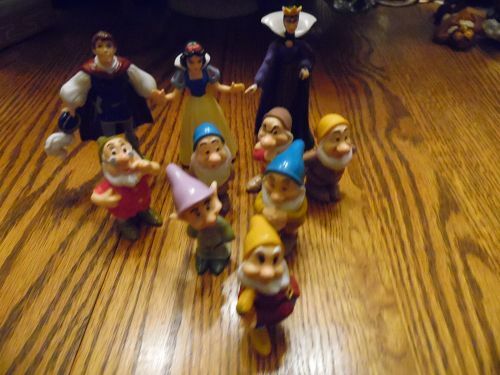 Marked Disney. 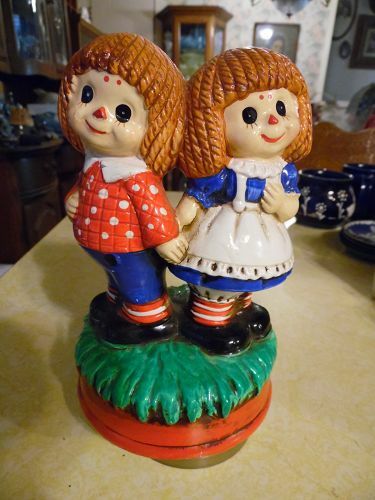 Vintage 70's musical figurine of raggedy Ann and Andy holding hands. Rotated when wound up. Plays Love Story. Measures 8" tall. Nice condition. 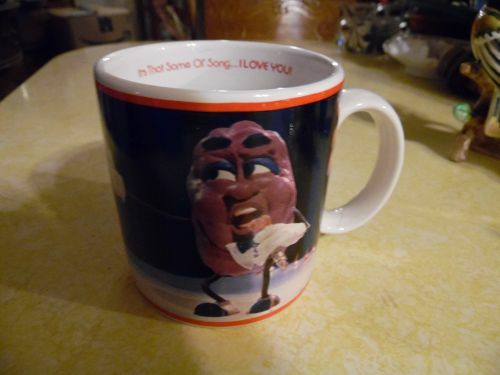 I thought it was made of a paper mache but is actually ceramic I think, and all hand painted. Original Exclusive KN Japan sticker still on the bottom. Good condition. 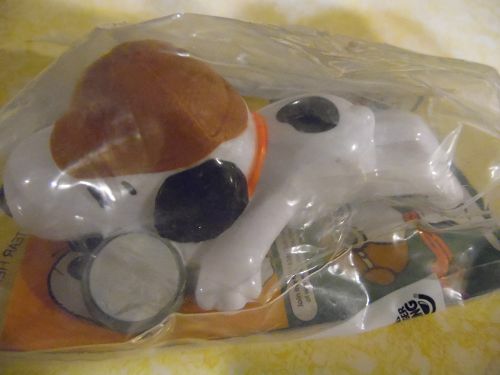 Peanuts Detective Snoopy Toy Burger King 2007. Never been out of original package. I have others from this series listed also. 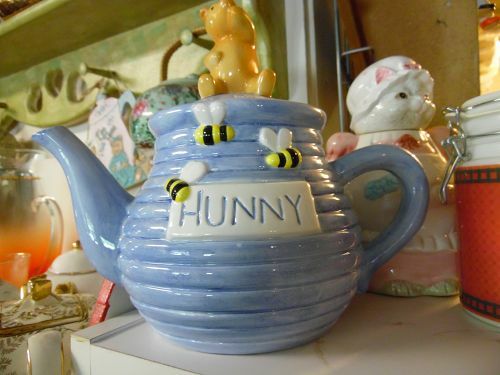 Large Disney Winnie the Pooh teapot in the shape of a honey pot. Three honey bees with Pooh sitting on top of the lid. Made of ceramic and measures 9.5" tall to the top of Poohs Head. Measures 11" from tip of spout to back of handle. Made by Treasure Craft. 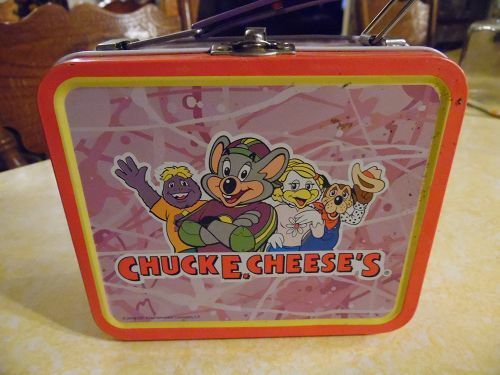 Perfect condition with no chips or damages. Vintage Snoopy & Woodstock root beer mug w/ handle. It Never Fails...Three Root Beers and Woodstock Falls Sound Asleep. Graphics looks great. 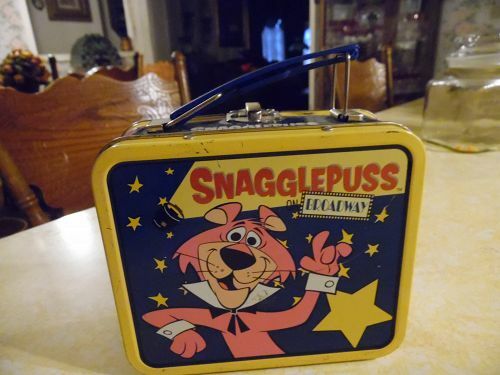 In very good vintage condition with light, minimal surface wear. No chips or cracks. Measures approx. 5 5/8" tall. 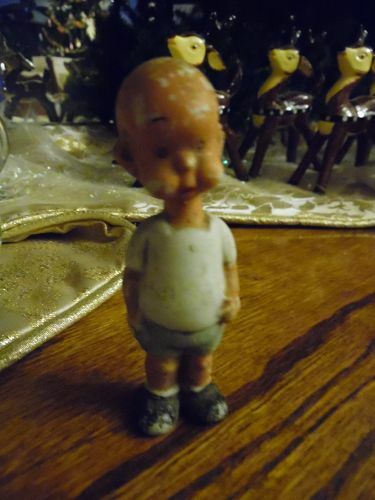 Henry cartoon character figurine. 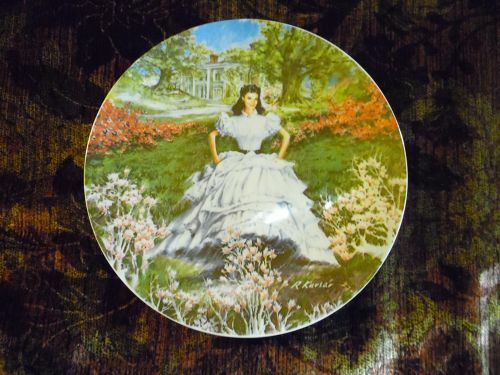 Appears to be made of Bisque porcelain. Stands about 3 3/4 inches tall. Wearing white t shirt and blue shorts. The arms are part of the mold. Good condition with no chips. Has lots of paint skips and rubs. See photo. Made in Japan, Marked Henry, copyright, Carl Anderson on the back. 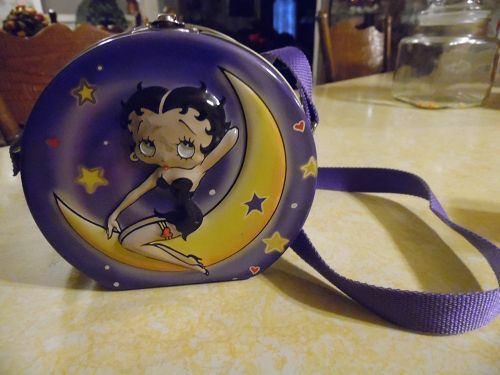 Vintage Betty Boop & Pudgy Metal Tin Purse Case Lunch Box with Strap Carrier 2001. Approx 4.75"x5.0" / Strap Drop 15" Excellent Used Condition! 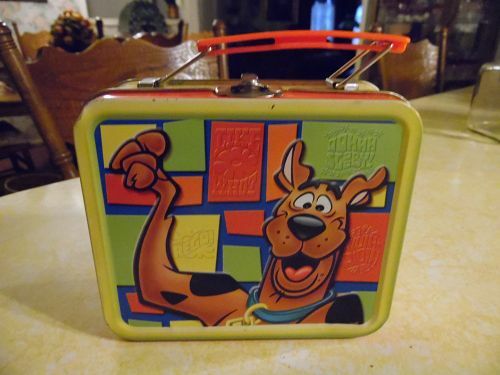 Boris and Natasha Mini Metal Lunch Box New. 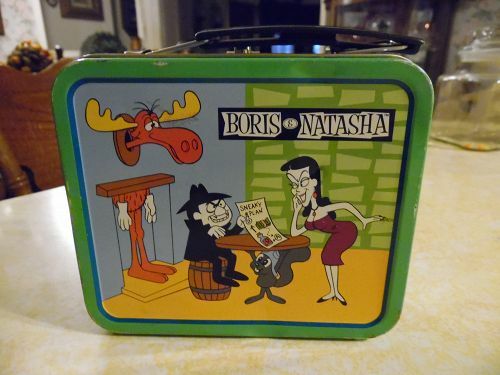 Cute Boris and Natasha Lunch Box. Metal, same picture on both sides, with their friends or enemies Bullwinkle & Rocky squirrel around the edges with them. This is approx 5-1/4 x 4 x 2 inches. Never used or displayed. 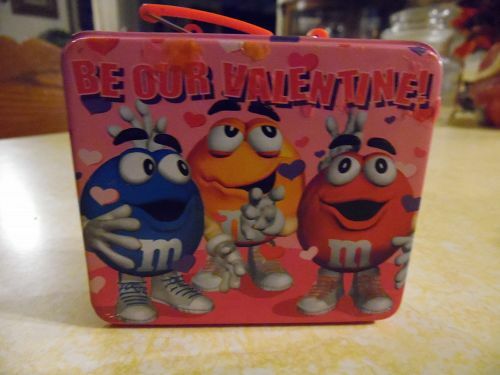 One of the favorite questions, does it have candy, NO, it doesn't. 1997. 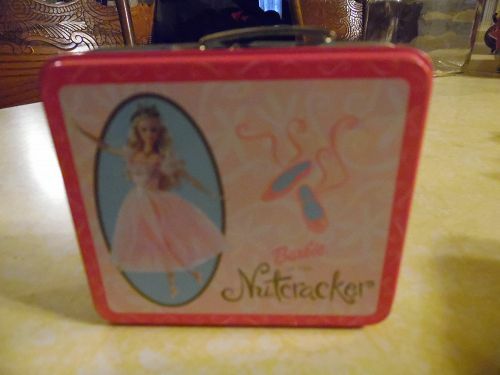 Cute metal lunch box, mini size measuring 5 1/2" long, 4 3/4" tall and 2 1/4" deep. Excelent condition. 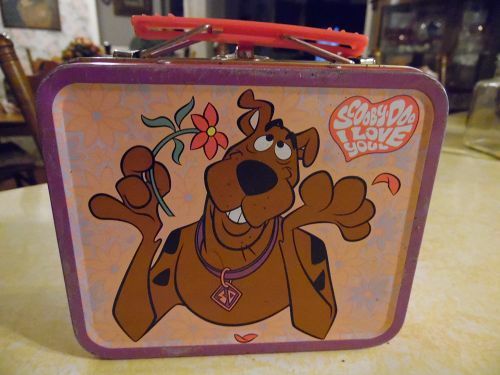 Colorful squares have Scooby sayings like "Like Wow" 'Rugh Rogh", "Oh Scooby" and others. Sides have cool hippy flowers. No dents either.